"Saracens have been unstoppable this season and it is almost impossible to bet against them in their current form. Sale, in the Premiership Rugby Cup, are the only team to prevent them winning since April and Sarries have won their last eight home league games." Exeter have been in sensational form this season and the Premiership finalists have shown no sign of slowing up despite the recent international absentees. The Chiefs are top of the table, on points difference, after winning all eight matches this season. Rob Baxter's side warmed up for this game with a comfortable 23-6 home win over fourth-placed Gloucester last weekend. Harlequins may be quietly content with their start to the season under new boss Paul Gustard with the side fifth in the standings. Quins have struggled for consistency, losing five of their eight matches, but this accusation could be aimed at most of the division outside the top two. Harlequins won their last home game against Newcastle but lost 20-13 at Worcester last weekend. This certainly will not be an easy game for Exeter but the league leaders have answered every question domestically and are fancied to maintain their 100 per cent record. The Chiefs have not lost in the Premiership since February and have won their last eight league clashes against Harlequins. The hosts can keep it competitive but an Exeter win by up to 12 points looks the best bet at the Stoop. Saracens are keeping pace with Exeter and last year's top two already look as if they will be duelling again for the Premiership title. The champions have been outstanding this season and have won every league match with six bonus-points. 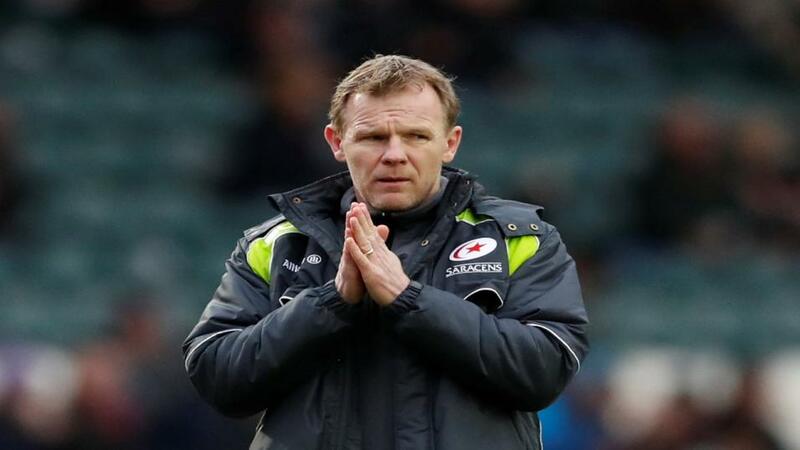 Sarries coped with their lengthy absentee list recently with a 27-22 victory at Leicester their latest success on Sunday. Wasps have been poor for much of this season, in the eyes of director of rugby Dai Young, which probably bodes well considering the side are still third in the Premiership. After seven games without a win in all competitions, Wasps halted this run with a 32-28 home win over Bristol last weekend. There were signs of promise in their attacking game which suggests the team could still yet mount a challenge for silverware. Saracens have been unstoppable this season and it is almost impossible to bet against them in their current form. Sale, in the Premiership Rugby Cup, are the only team to prevent them winning since April and Sarries have won their last eight home league games. The Men in Black have also dominated recently against Wasps, with just two defeats since 2011, winning the last meeting 57-33 in May's semi-final. The hosts can cover a 14-point handicap to maintain their flawless Premiership run. Bath have been largely unimpressive this season and are labouring down in eighth place after only winning three games in the competition. Todd Blackadder's side appear to be no closer to finding consistency which is likely to prevent them challenging for a top-four spot. Bath were beaten 16-8 at struggling Newcastle in their last outing. Sale are hardly excelling themselves and Steve Diamond's side are three points worse off in tenth position. The Sharks have been short of sparkle this season and could be heading for a disappointing campaign. Sale look too strong to get into relegation trouble but a top-six finish may also prove beyond them. In their last match, the Sharks edged past Northampton 18-13. This could be a low quality clash but Bath should be able to see off their opponents at the Rec. Sale are poor travellers, losing their last six Premiership away matches, which makes the visitors hard to fancy. The last seven meetings between these teams have been won by the hosts and Bath can maintain this trend with a narrow victory over Sale.